We've always done our part when it comes to helping support our local shelters and rescues. We've adopted several of our pets from shelters over the years. We've dropped off pet supplies and food when we had extra on hand. And we've even been foster parents to a litter of kittens that didn't have a mom. It's always been rewarding knowing that we are helping animals that can't help themselves. Often times the animals taken in have lived outside with little to no food/water or shelter. So having a family to care for and love them (like we do) is a big deal. A few weekends ago we actually adopted these two sweeties from an area shelter. 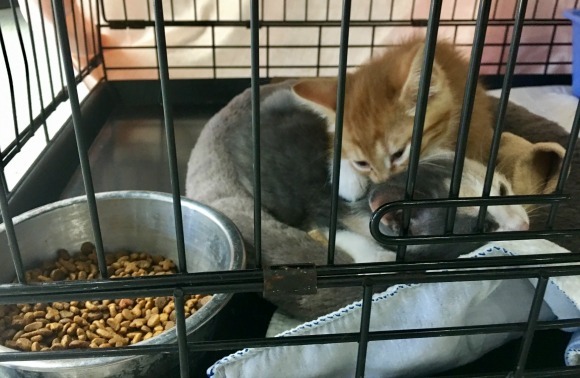 We went in with the intention of adopting one kitten, but when we saw them together we knew they needed each other. And after having them live in our house the last few weeks we know we made the right decision. It's so much fun watching them run and play together. And of course the kitty cuddles are pretty darn good too! 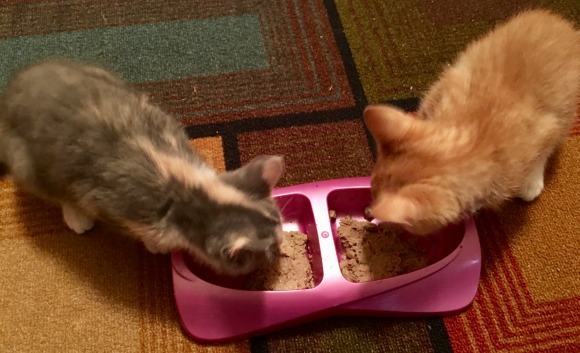 Now they never have to worry about shelter, or having a full tummy. Just look at them enjoying a nice bowl of "I and love and you" wet cat food together. In honor of National Adopt a Shelter Pet Day "I and love and you" is on a mission to spread awareness about the millions of shelter pets that seek adoption each year. Whether your home has room for some extra love, or maybe you could use a new buddy, we encourage you to help our cause for animals in need of a home! “I and love and you” is committed to providing food for pets waiting for adoption at shelters and rescues across the country. This past year, the company donated over 75,000 meals! Most recently, “I and love and you” donated 50,000 meals in January 2017 to the Humane Society of Tulsa and Rescue Warriors Corp. in Illinois, which will be distributed to smaller rescues and shelters across the area. 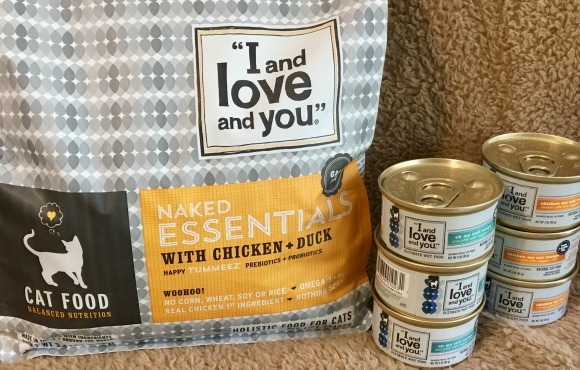 As the first-ever pet company to be officially Clean Label Certified, “I and love and you” can assure that shelter pets are getting the best and healthiest treats and kibble that the pet food industry has to offer. Disclosure: This is a sponsored post on behalf of the above mentioned brand. I have received product(s) in exchange for my honest and unbiased thoughts. All thoughts and opinions stated are my own and are in no way influenced by my partnership with mentioned brands. It's such a rewarding feeling to adopt a pet! Makes me so sad thinking about cats and dogs in shelters.